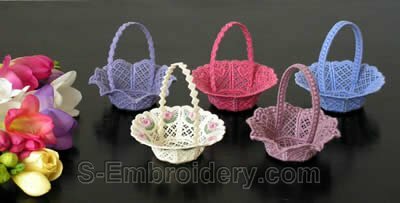 This is the third set from our new, original and very successful freestanding lace basket collection.It includes 5 small and elegant free standing lace wedding baskets. The designs in this set are ideal to give as memory to the guests of a wedding. 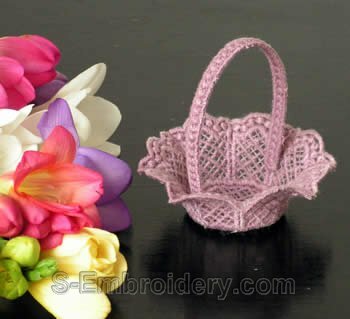 These baskets have been designed to be both beautiful and easy to stitch. 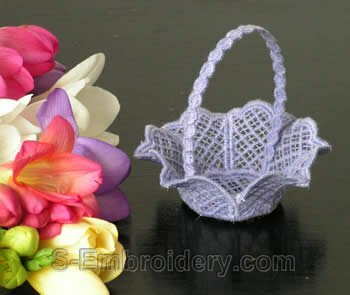 The bottom and the side panels are done in one piece. 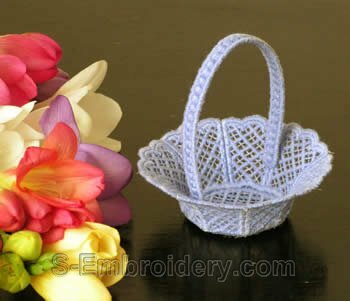 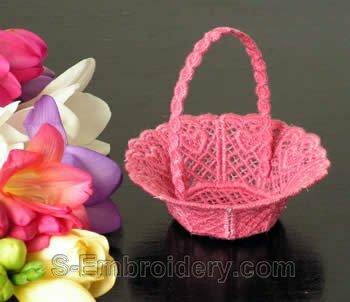 The handle is also included in the same embroidery file, so, in order to stitch out one basket, you need to hoop only once.